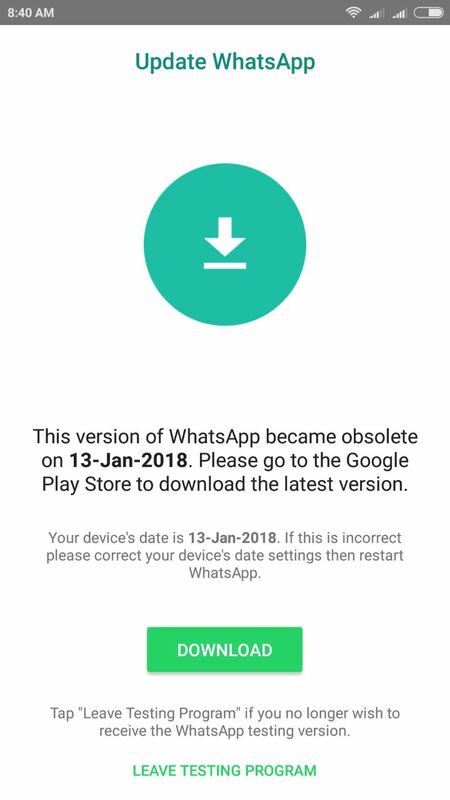 13 Jan 2018 saw many WhatsApp users being prompted for update as the current version has become obsolete. 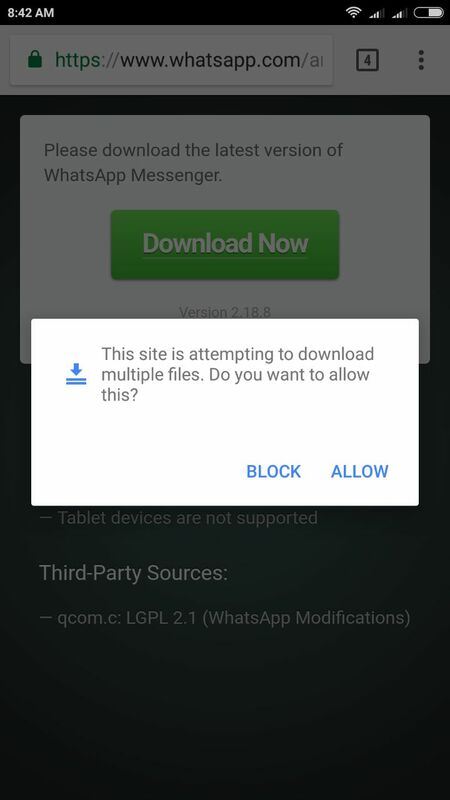 It further asked the user to go to Google Play Store to download the latest version. 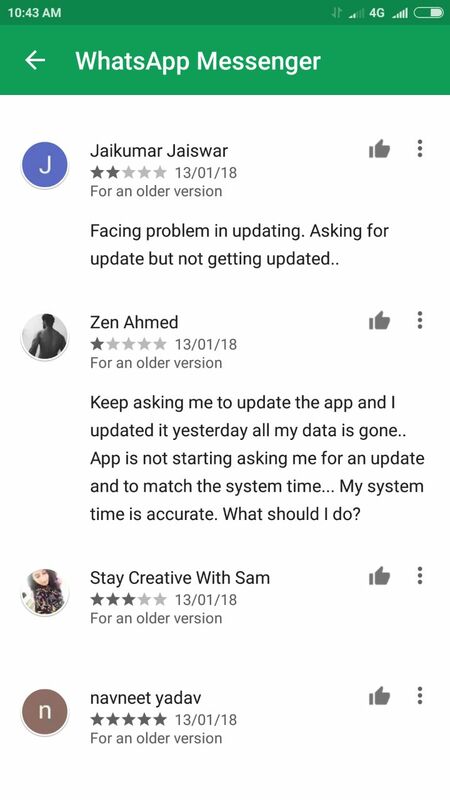 But when users clicked the green download button, they were directed to Google Play Store where it showed the app is up to date. 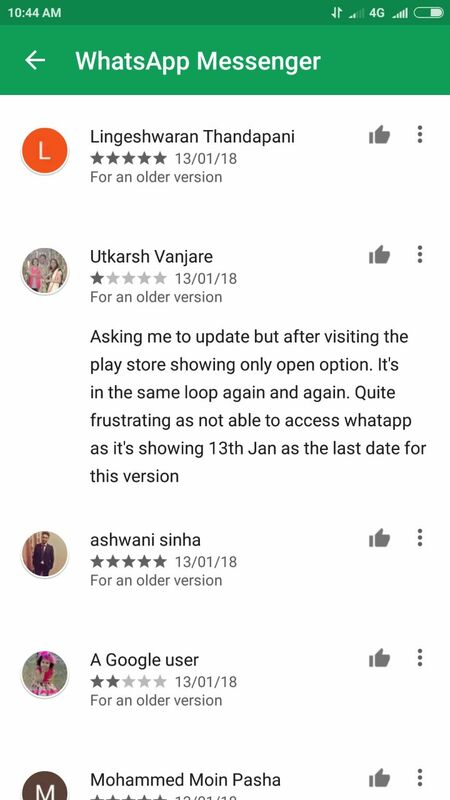 This has frustrated lots of users who have commented in Google Play Store. WhatsApp Messenger is an immensely popular app. People begin their day with WhatsApp both for business and personal use. 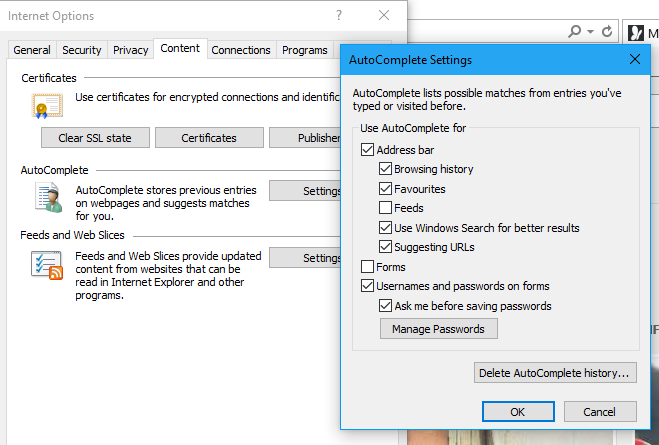 Here is the way to get the update. 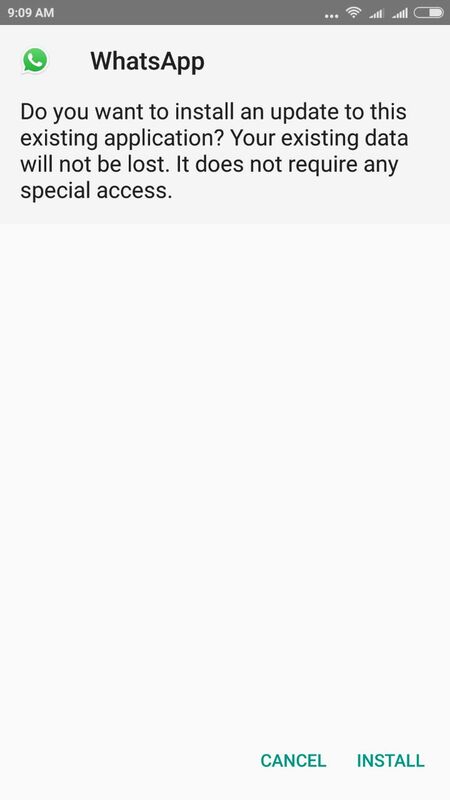 User when accessing WhatsApp Messenger from their mobile handset will get the following prompt. Three basic issues emerge. First is system date which we are sure must be correct for most of the mobile handsets. Next is the testing program of WhatsApp. If users have agreed for testing updates, they are the ones most likely to face this issue. Clicking the Download button takes users to the following screen. If users are having more than one market installed like Mi market, even then no update is available. If users click on the leave testing program button, it goes to a blank screen. 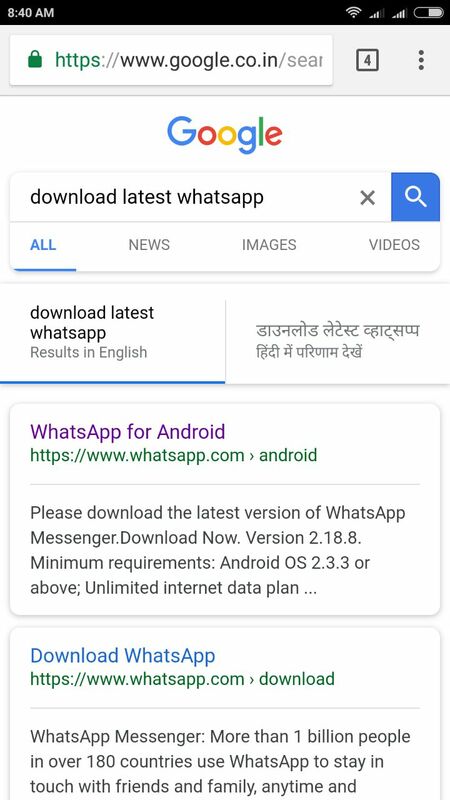 End result is WhatsApp Messenger is still not accessible. 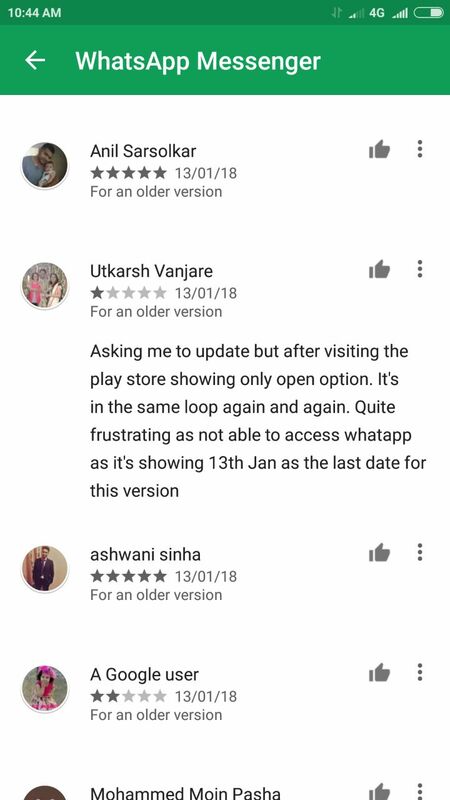 Due to strange reasons WhatsApp Messenger backed by Facebook has missed pushing the update on Google Play Store and this is the reason why so many users are locked out of WhatsApp Messenger. 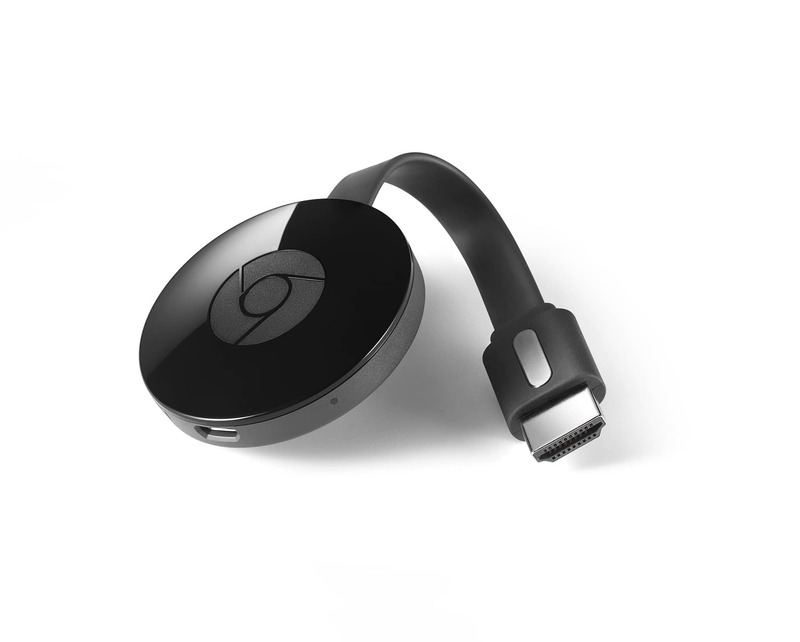 To update go to the web browser on your mobile and search the following on Google. The latest update is available on WhatsApp Messenger website. 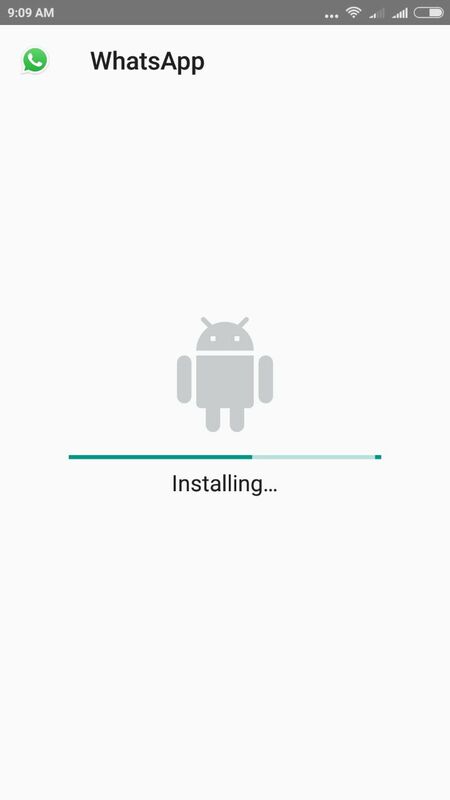 Download the APK file. 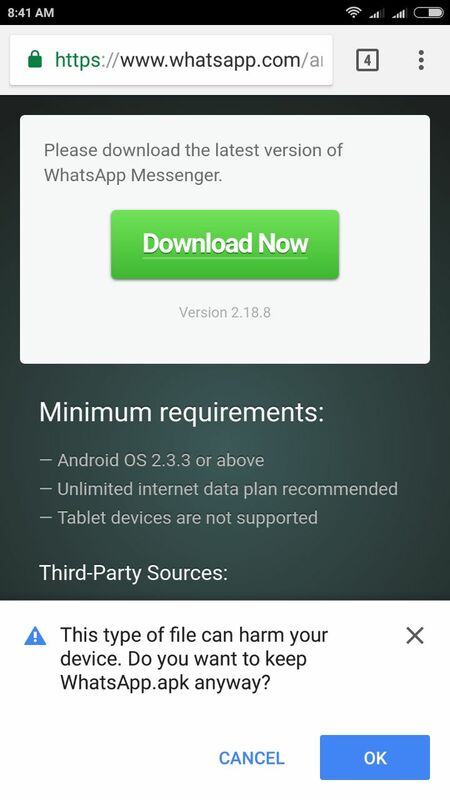 The latest version as shown is Version 2.18.8 of WhatsApp Messenger. If there is a prompt for download the file, accept it. The file will be saved in Download Folder of your mobile handset. 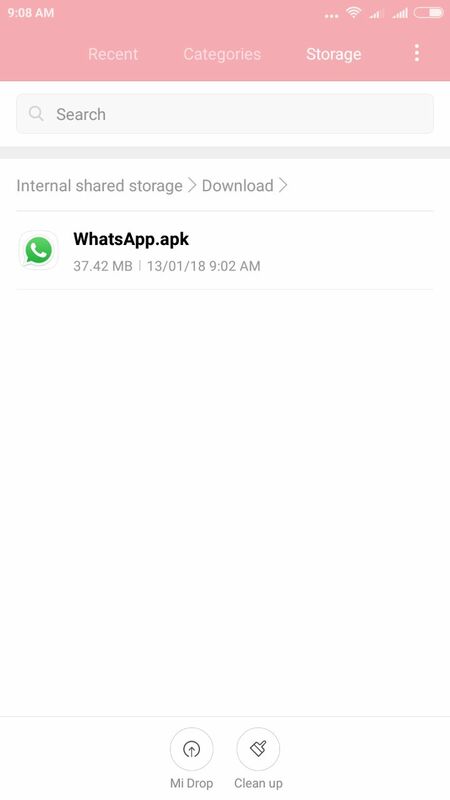 Locate the downloaded APK file of WhatsApp Messenger update. 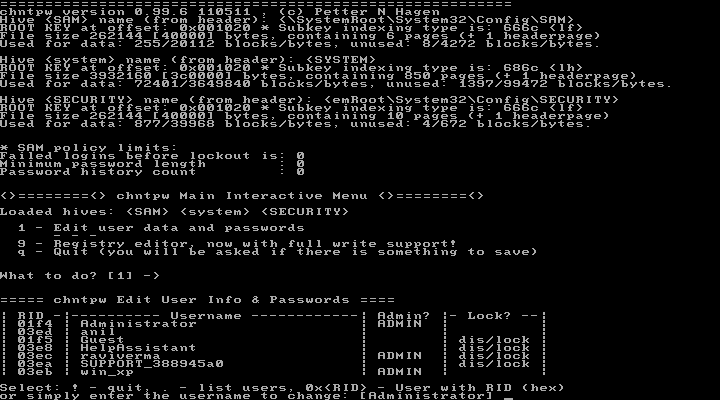 Click on the file to start installation process. 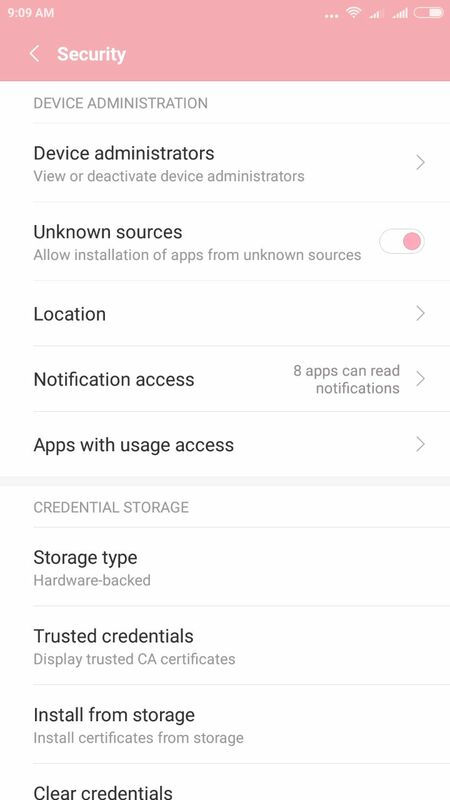 For most users, the security setting would be set to block installation from apps other than those from Google Play Store. To change the settings toggle the following button to green. 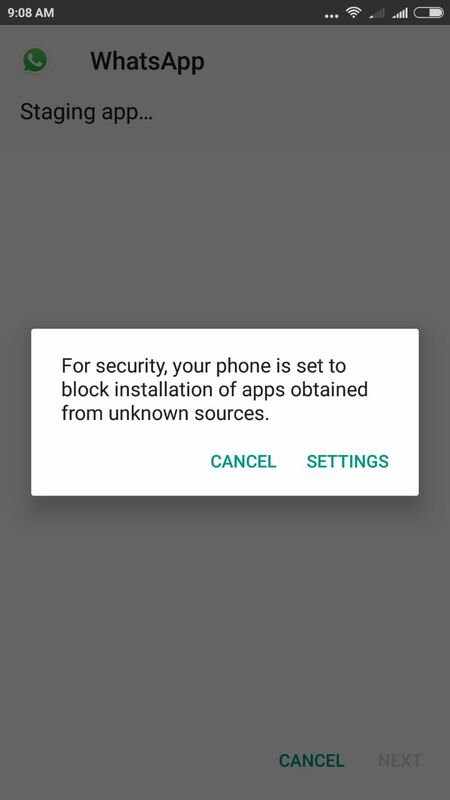 Be sure to change the Unknown Sources setting back to off after installation is complete. 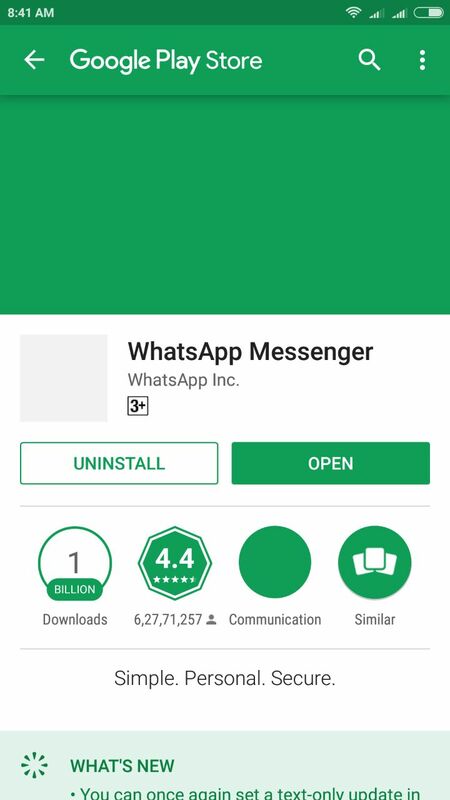 Click on WhatsApp Messenger APK file again to install. Accept the prompt. 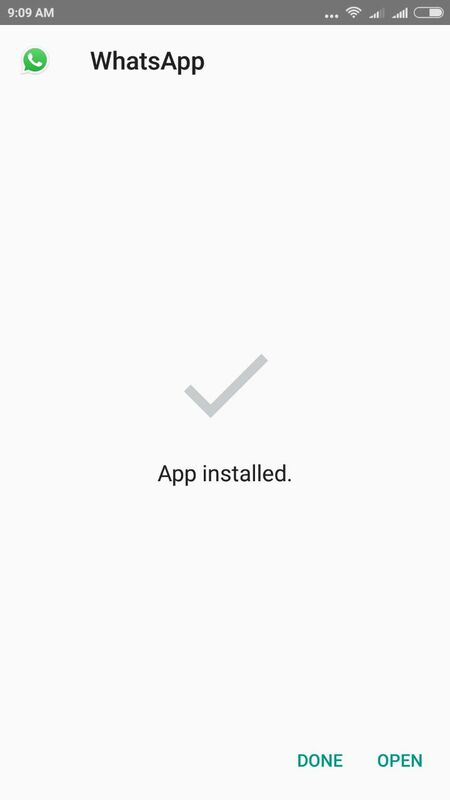 Wait till the confirmation of installation is shown. 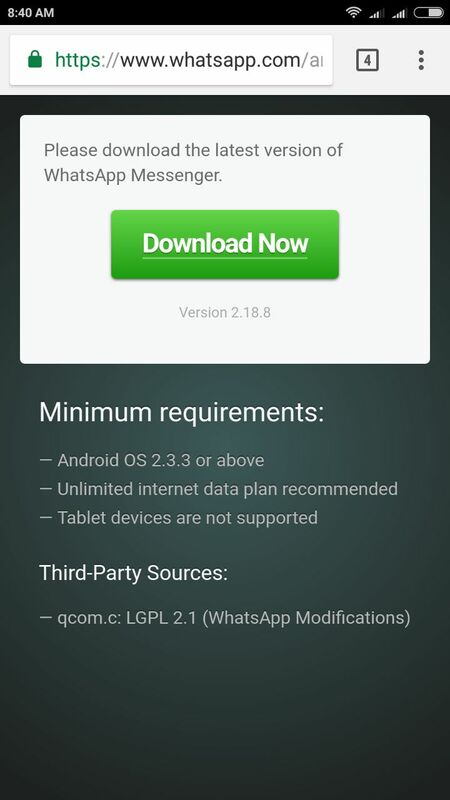 Once update is complete, the WhatsApp Messenger will work as normal. It is strange and surprising to see such a glitch by one of the top app of Android. Here are some reactions by users. Hope WhatsApp rectifies it as early as possible.